Discover a fragrance that captures the linearity and elegance of a blue sunset with Blue Land, the new fragrance collection from Trussardi. Taking cues from the Trussardi My Land fragrance, Blue Land is a fresh and sensual aroma that evokes feelings of sheer emotion and the sense of unrestricted freedom. 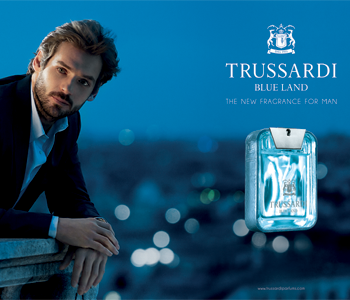 The energetic and alluring aroma encapsulates the true elegance and proverbial class of the Trussardi brand.